Lindsborg is where culture and agriculture meet. Lindsborg was first settled in 1869 by 125 Swedish immigrant pioneers, initially from Sunnemo and the surrounding parishes of Värmland Province in Sweden. The first Lindsborg Swedes came to America, framtidslandet, their land of the future with strict adherence to the Lutheran faith, an abiding love of music and a determination to preserve their heritage. 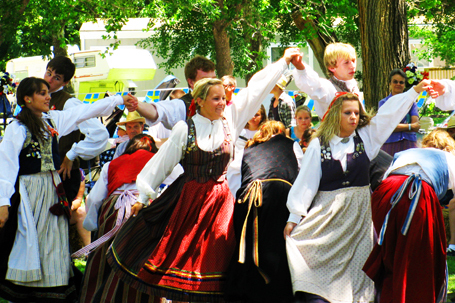 Over 140 years later, Lindsborg honors that resolve with a myriad of Swedish celebrations and festivals throughout the year.